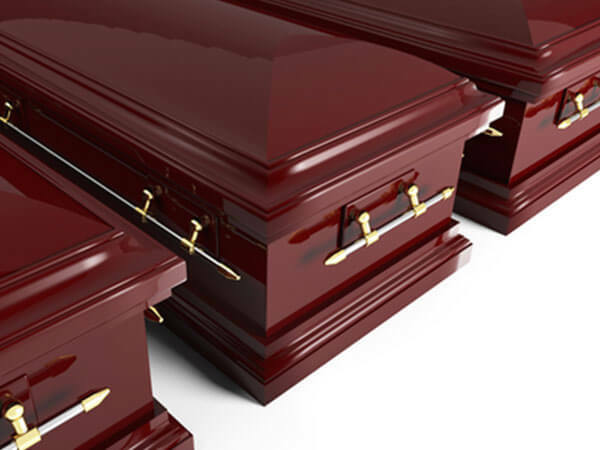 Grave burial is one of the oldest and most traditional types of funerals. The deceased is placed in a casket and buried in either a single row plot or family grave site. As a general rule, the deceased is buried in or near their hometown. Only in exceptional cases can a cemetery in another location be chosen. Relatives and loved ones can always visit the grave whenever they feel the need, place flowers or other items there in memory of the deceased, and be close to the departed. ** Note: A burial at sea is only possible if the deceased gave written consent to such a burial while he or she was still alive. If the deceased has not left a will indicating the type of funeral desired, a burial at sea can also be arranged by the next of kin.